Dubai: A survivor of a fatal construction crane collapse in Downtown Dubai said the crane’s ladder had snapped, sending a worker crashing down. The survivor, an Asian worker who did not wish to be named, told Gulf News the incident occurred between 6.30pm and 7pm on Saturday. Three workers were killed in the incident, police said, which occurred at an under-construction luxury hotel. “The ladder of the crane malfunctioned and broke. The worker on top fell to the level I was working at – five metres above the ground – breaking my right leg. I was operated at 1am on Sunday,” the survivor said. It was not immediately clear what happened to the worker who fell. Police said the crane operator had “lost control” leading to the collapse. Major General Khalil Ebrahim Al Mansouri, director of Dubai Police’s Criminal Investigations Department, said the operator was taken in to face charges of criminal negligence. Al Mansouri said the crane had hit five Asian workers, killing three, when it lost balance. The mangled remains of the crane were clearly visible on Sunday, slanted against the scaffolding and unfinished floors of the construction site. There were no obvious signs of extensive damage to the under-construction property, being developed by a major Dubai real estate company. The Asian labourers were reportedly killed on the spot. Sources told Gulf News four others – two Filipinos and an Indian – were hospitalised following the accident. One of the injured is reportedly in coma. Gulf News sources allege that a mechanical malfunction involving the ladder of the tower crane is being investigated as the cause. However, this could not be independently confirmed. 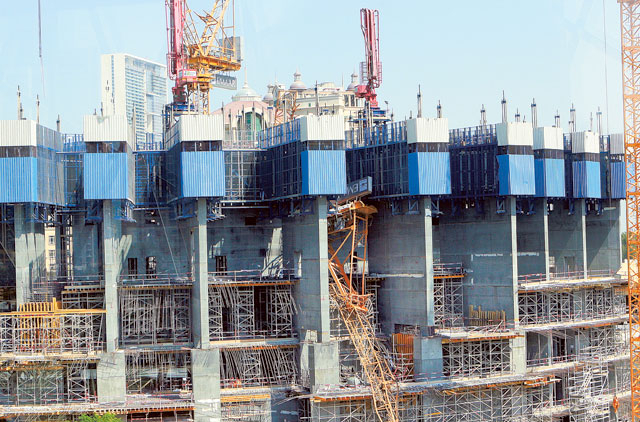 A source from the construction company, who did not want to be named, told Gulf News that three workers were treated at Rashid Hospital and one at Al Baraha Hospital. The source claimed that a survivor at Al Baraha Hospital is in coma. “The three who died, died on the spot. They were hired workers. The site is currently cordoned off,” he said. The construction site has no indication of any activity and appears closed. When contacted on Sunday, a manager of the contracting company was “unable to provide a statement at this time”. Meanwhile at Rashid Hospital the two Filipino workers have undergone surgery. According to sources, the workers were killed after the “15-tonne” crane crashed. An engineer said on condition of anonymity that “we usually rely on third parties to fix these cranes; they should be specialised and ensure all safety measures”. Police and ambulance responders had rushed to the scene, evacuating the site and tending to the casualties.